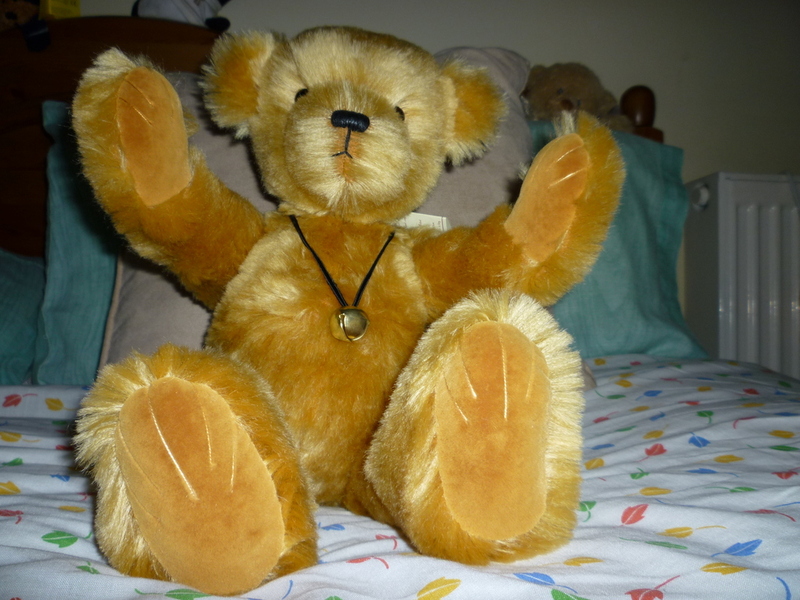 Arctophilia (from the Greek, Arcto meaning 'bear', and philos meaning 'love'), or teddy bear collecting to the layman, is something I've been doing all my life. Deciding on adding a teddy bear into one's hug (that's the term used to describe a collection of teddy bears) is not an easy decision. 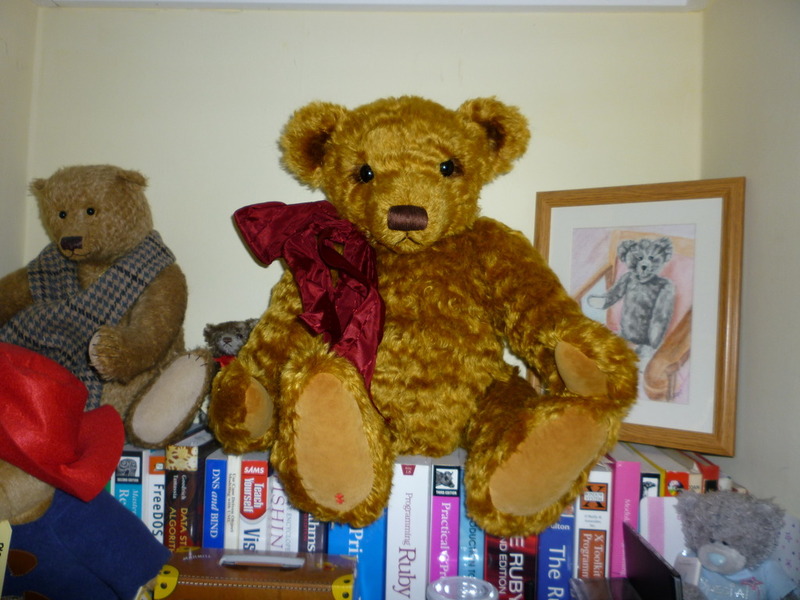 It might be that the pursuit of a teddy bear takes place due to having seen it in a photo, or it might be one wants to have a specific teddy bear due to its provenance, etc. But whatever the reason, it's always a nice moment when a new teddy bear is adopted. 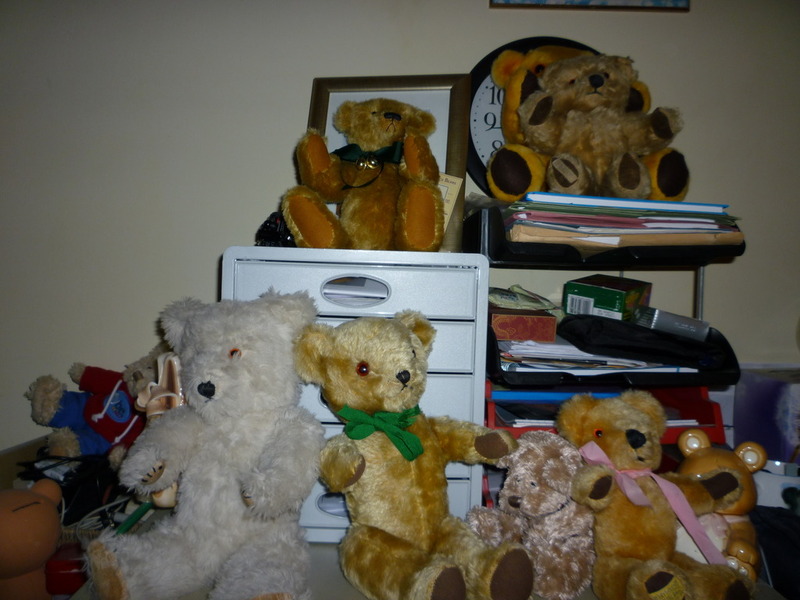 For many, collecting a teddy bear reminds them of their childhood, of happy times. 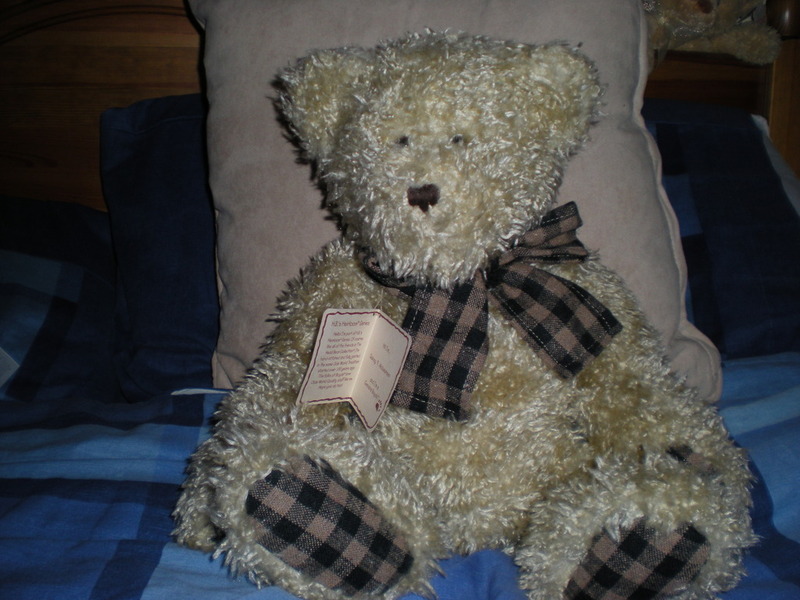 For the teddy bear has a certain innocence about it, an unassuming quality to do no harm, unconditionally offering their comforting services, yet retaining their own character and charm. Most of that is reflected in my own collections, with some of them featured in photo below. I've been lucky over the years that most of my teddies have been presents from family and friends, which says a lot. To me, the teddy represents something about the person who gave me that bear and it is that which I will never forget. I do not collect teddy bears for their monetary value, and I believe to do so is wrong -- a teddy bear should be enjoyed and loved by their owner, regardless of whether the teddy bear cost a fortune or a few pence. Someone buys you a teddy bear. 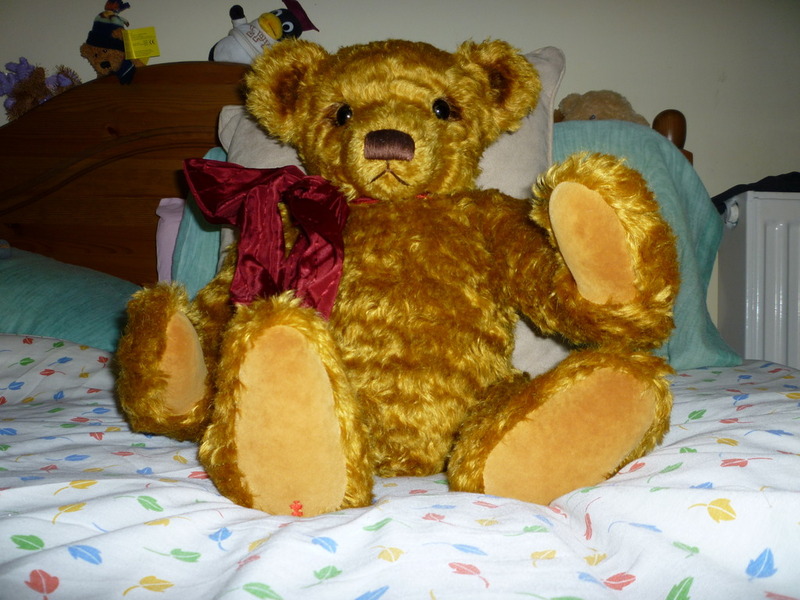 You decide yourself that a teddy bear is acceptable. 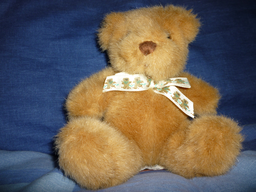 A teddy bear chooses you. 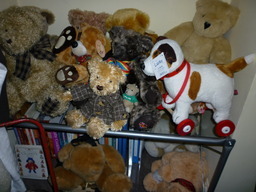 But what I find is more common is finding a slot for a new teddy bear. 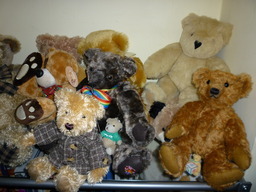 Deciding where a new bear might fit within a hug is not an easy decision. 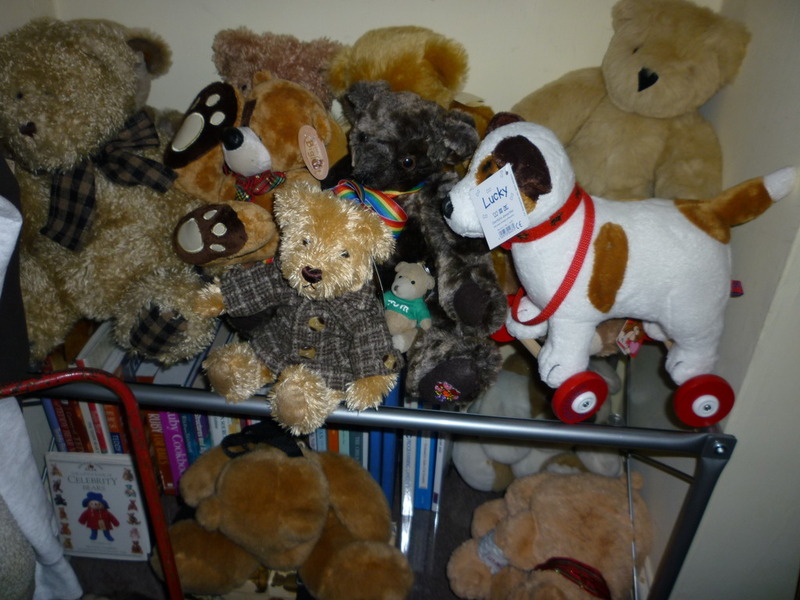 I will often spend days sometimes looking at where all my existing teddy bears are and then work out where a new bear will sit, even before I've adopted them. 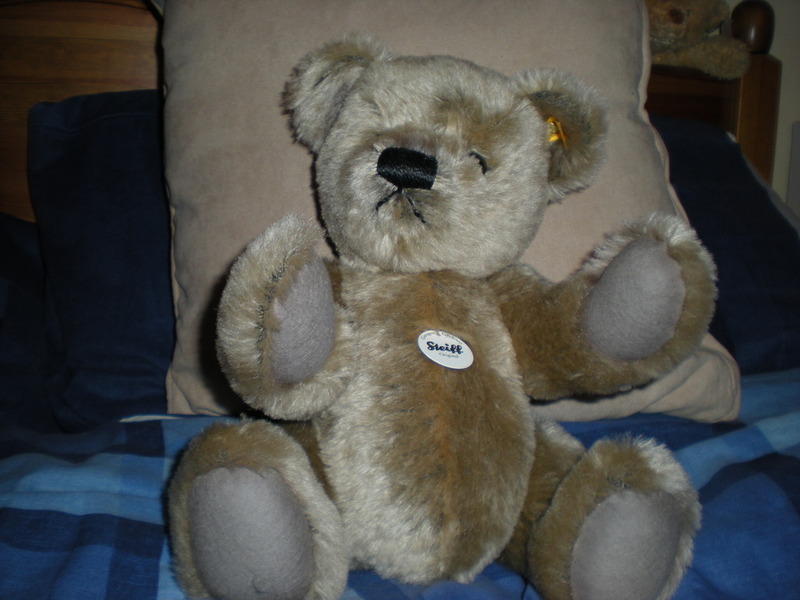 This is much more common with commissioned teddy bears, because up-front, one does not always know what the teddy bear will be until he's made. But by the very nature, a commissioned teddy bear ought to be good, because to have it commissioned is to put faith -- your faith -- in the person making it. I've never had a problem with this, but then I only commission a teddy bear from one artist so far, because I like her teddy bears. And when I say "finding a new slot", I really mean understanding how he will look next to other teddy bears, and whether he will look OK. 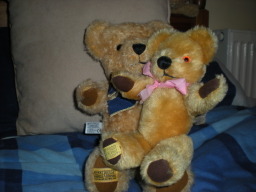 Sometimes though, even after the fact, a teddy bear, adopted even with the best of intentions might not always look good in a hug. 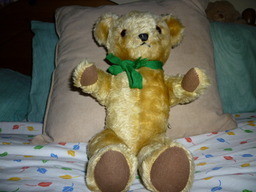 Peter Bull mentioned this once, where he had a teddy bear that was too evil for his hug. 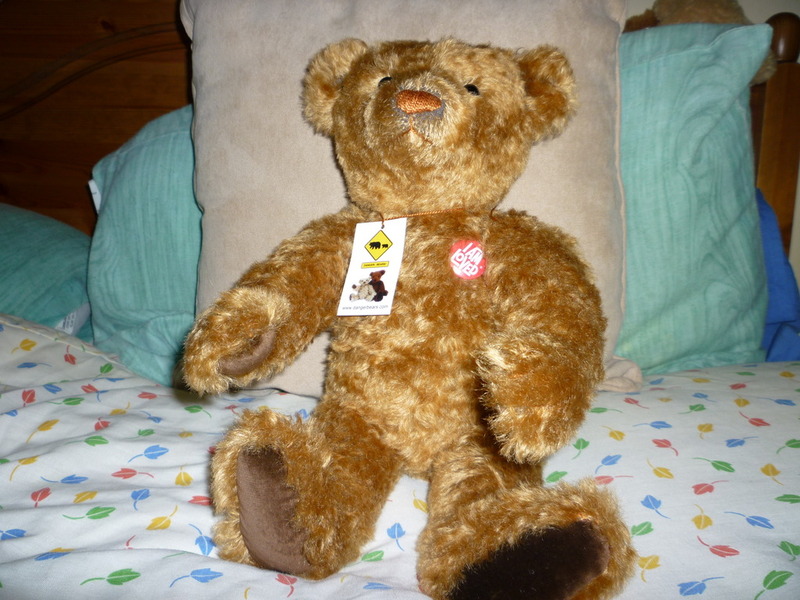 A sad day for that teddy bear, but teddy bears should never feel threatened or have their status quo disrupted unnecessarily. 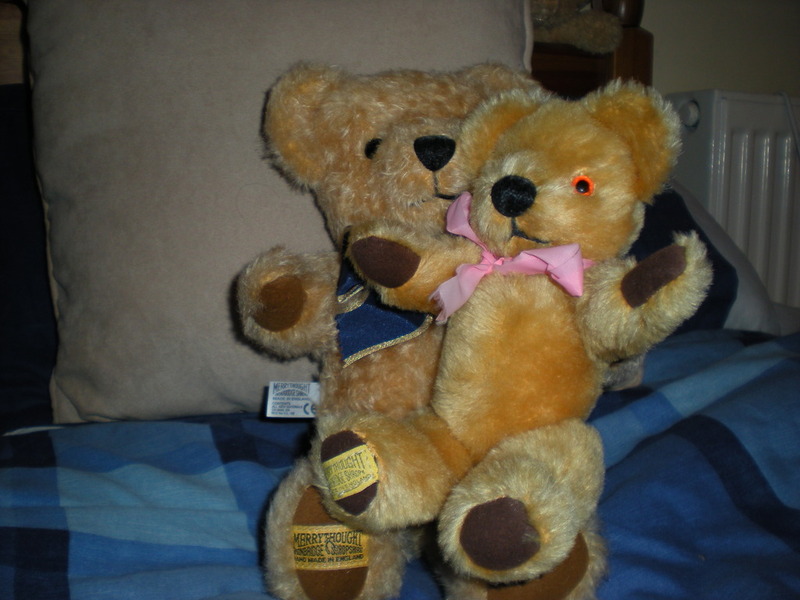 The same applies if someone buys you a teddy bear, although sometimes it's easier, because sometimes those teddies are not as expressive. 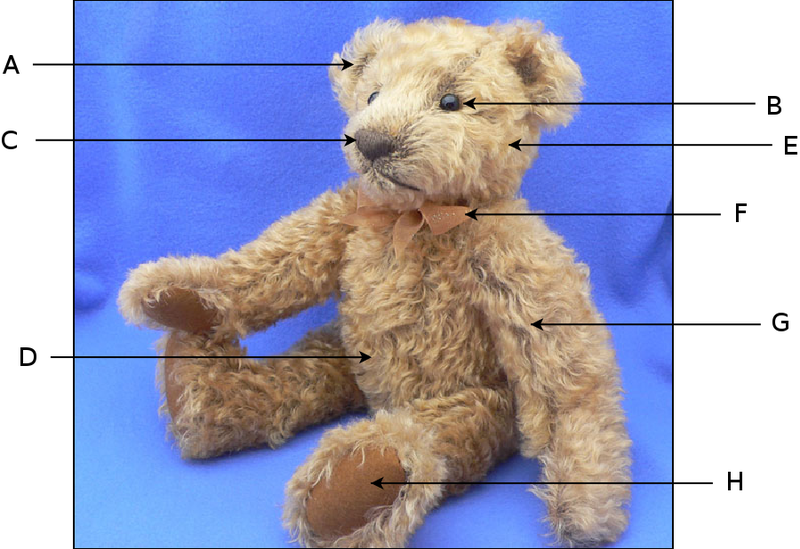 The diagram shows the main points I look for in a teddy bear, and perhaps why I love the Original Teddy design so much. B: Simple, one-colour eyes; round. 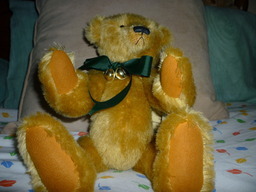 Catches the light giving the teddy his character well. C: The nose -- should be again proportional to his muzzle; like the ears, not elaborate. 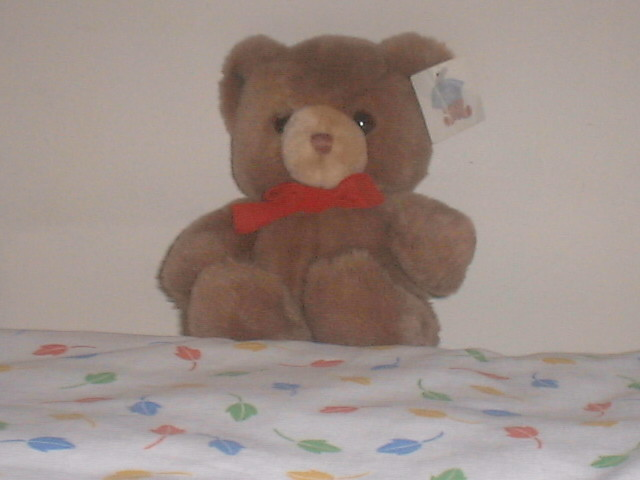 E: Classic triangular-shaped head. 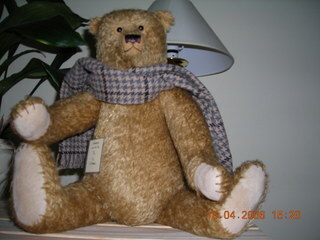 Perfect teddy bear proportions if this is done correctly. The shape of his head gives his character also, and defines the placement of the eyes (see B), etc. 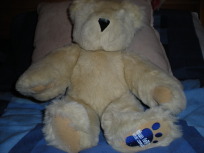 H: Nice round paw/feet pads. 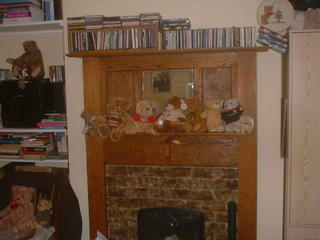 Some of my teddies on the fireplace. 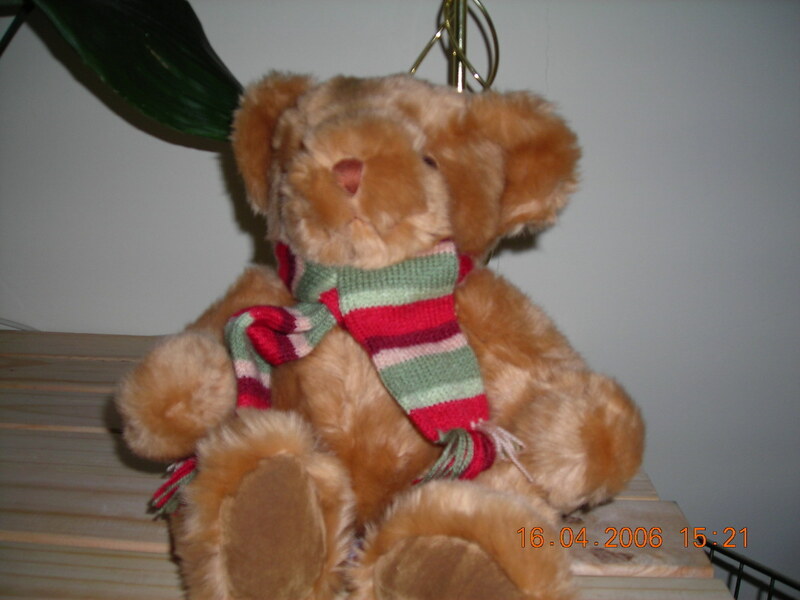 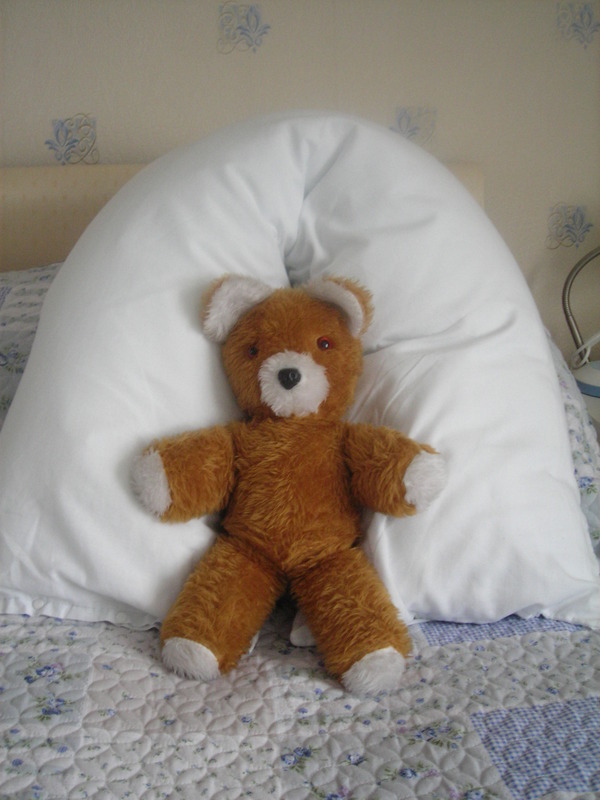 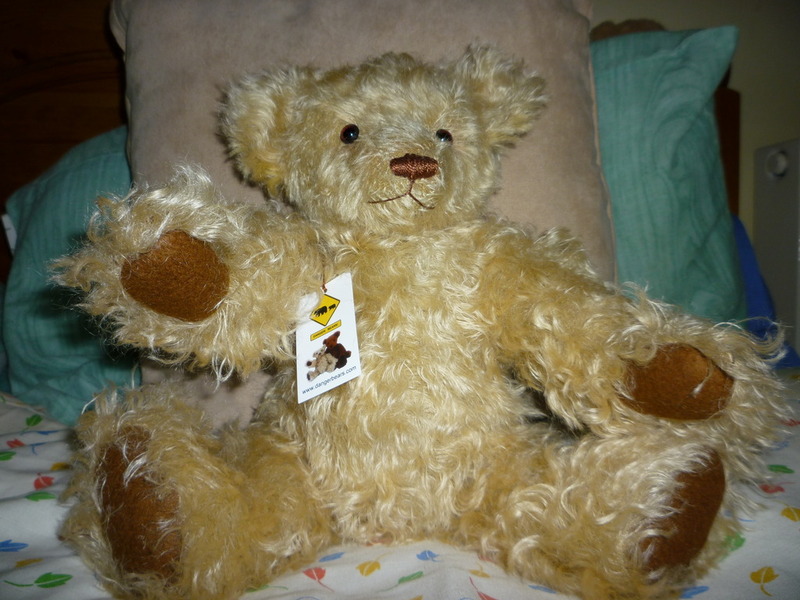 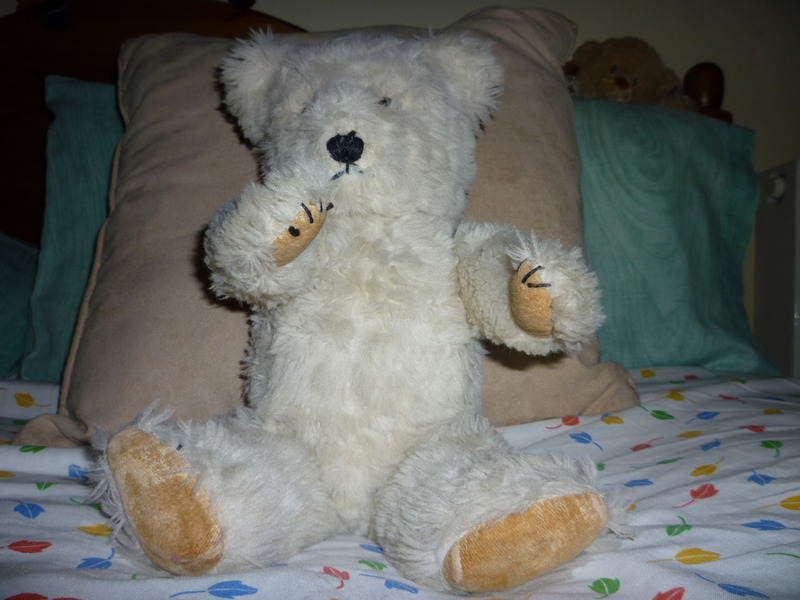 Edwarde -- a beare of Mimizan Teddy -- my grandad's teddy bear. 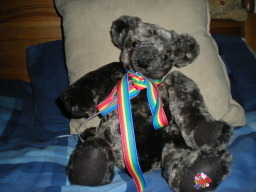 Brock -- a lovely Russ Berrie bear. 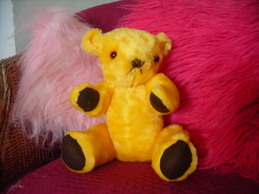 xteddy! 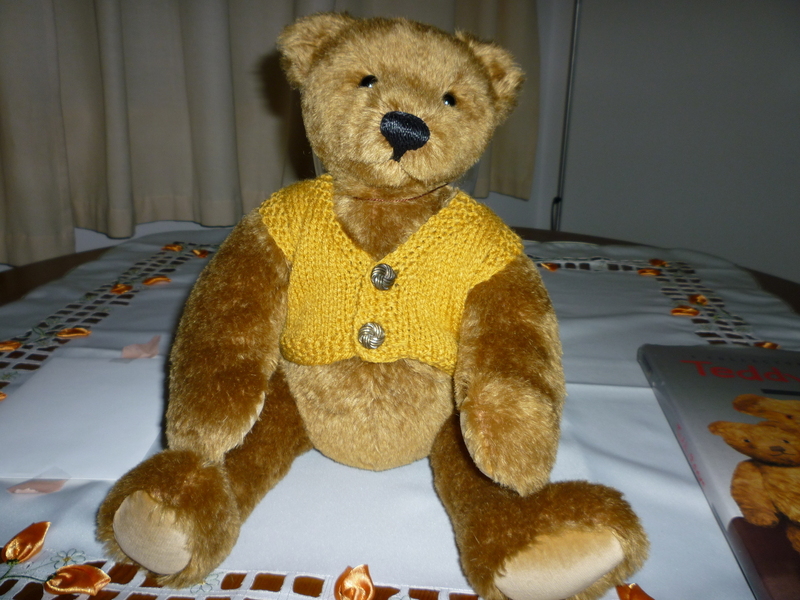 A gund teddy bear Stitchy! A teddy bear made by myself and Mother. Quincy P. McBearsen - a Boyd teddy Debra -- this is the bear my Mother made me for Christmas 2008 Frenchie - a dear little 1950s MerryThought teddy. 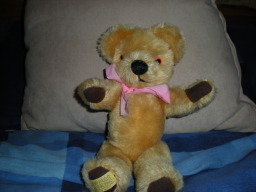 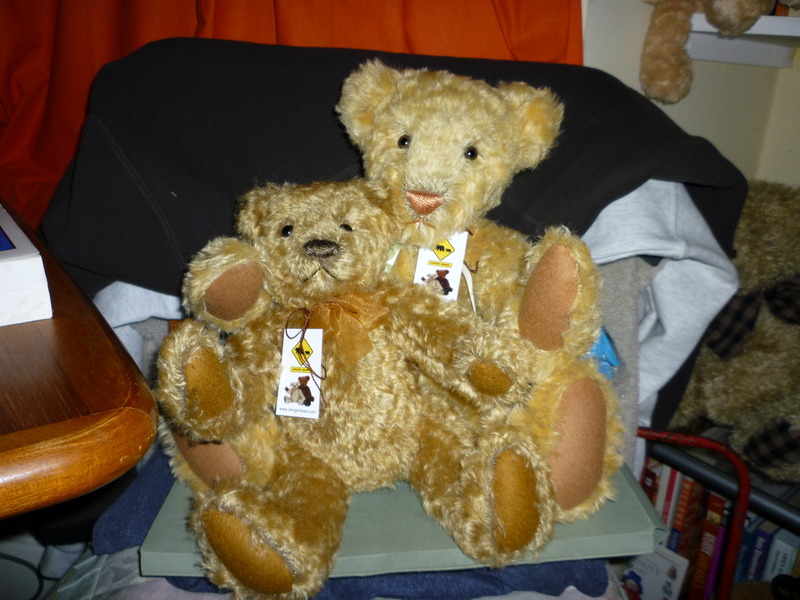 Goldie -- a fine example of a traditional Merrythought bear. 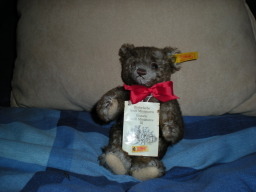 Lucky -- a miniture replica of a rare Steiff. 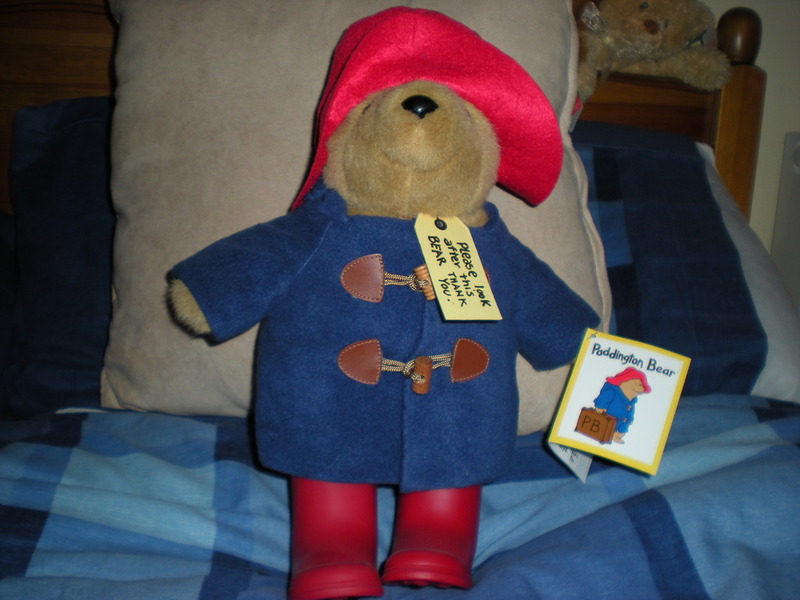 Paddington - just one example of him. 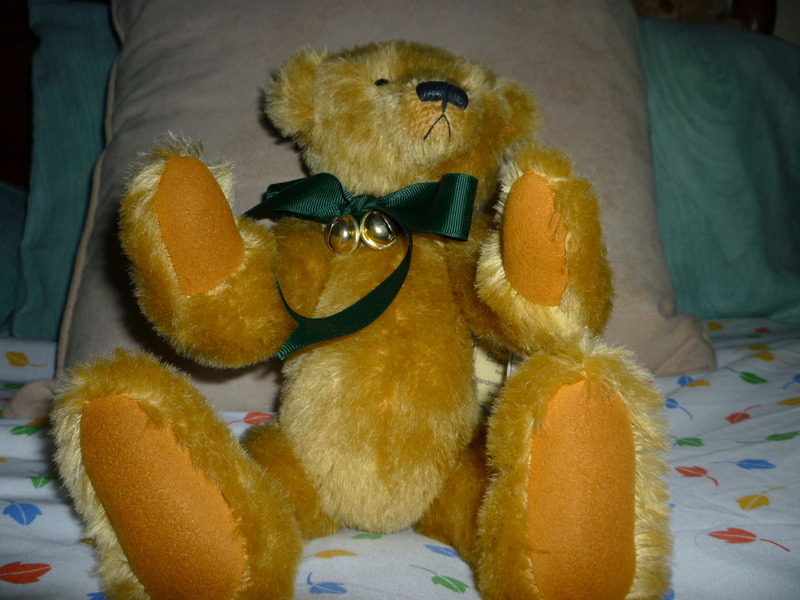 Chad -- a well-loved Chad Valley teddy. 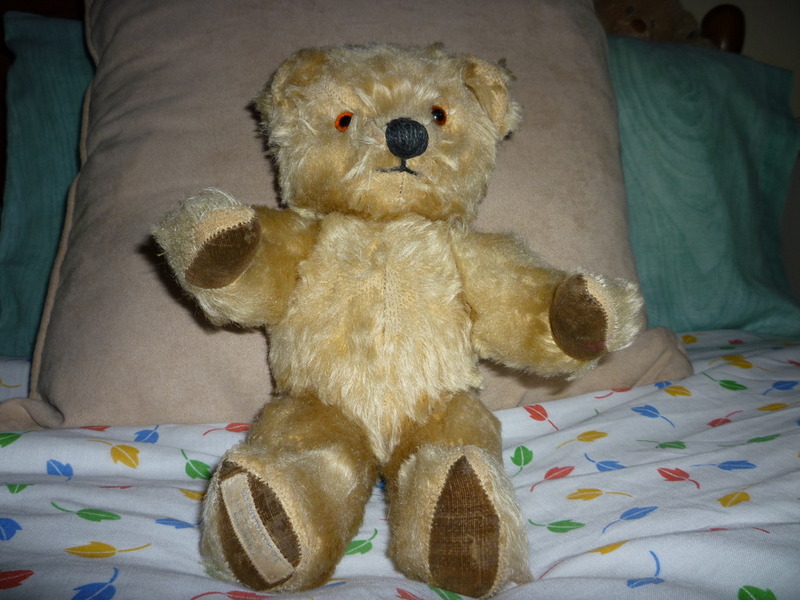 Gwent -- a Gwent Toys teddy (his eyes are nice.) 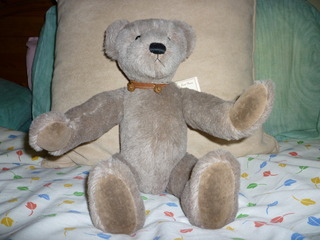 Hugmeee -- a beautiful Chiltern teddy. Rupert! 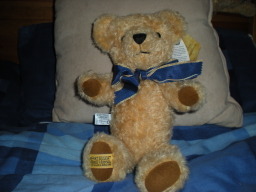 A beautiful Australian teddy. 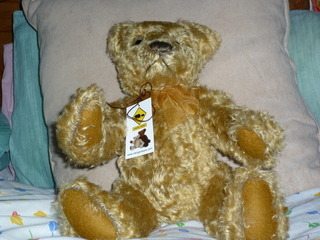 Noah -- beautiful teddy from TBAE in Stratford 2009. 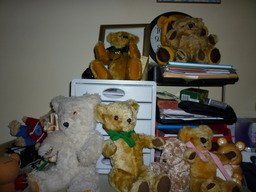 Some of my teddies in a hug. Buddy -- from Dangerbears. 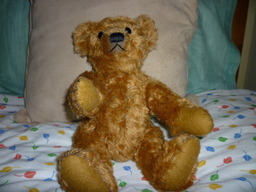 Leo -- from Dangerbears (he has a squeaker. 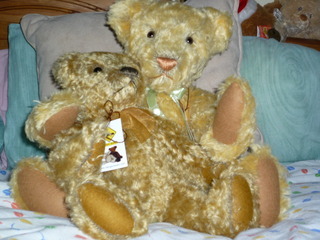 :) Leo and Buddy together, as they were adopted together. 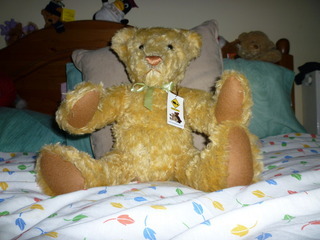 Arthur - bought at Hugglets 2009. Claude -- a commissioned teddy by Becky Chase of Dangerbears Scrappy -- a surprise companion with Claude. :D (Becky Chase of Dangerbears. Claude and Scrappy together. 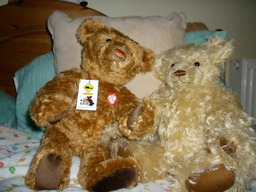 :) Xteddy and "bear" together. Just "bear" by himself. 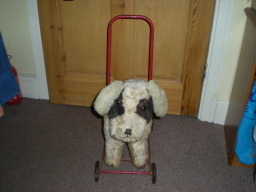 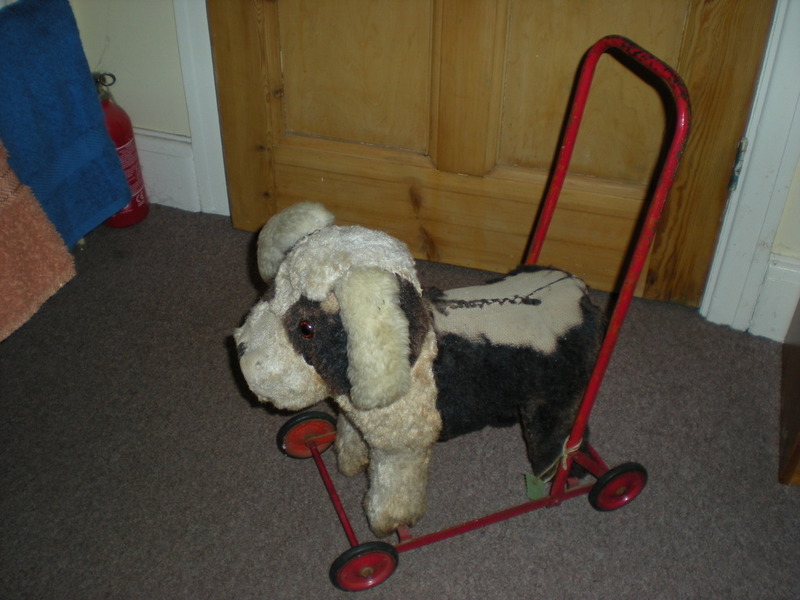 Whilst not teddy bears, I have a liking for dog on wheels. 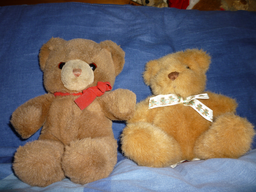 These toys were popular during the war and early 1950s, and are hard to get ahold of.